Designed to appeal to anyone that appreciates the art of chocolate. The rich chocolate colored basket houses the BRIX chocolates that are specifically choosen to pair with our Twisted Twig Wines. Try Not to FOCUS on the Chocolate! Designed to appeal to anyone that appreciates the art of chocolate. 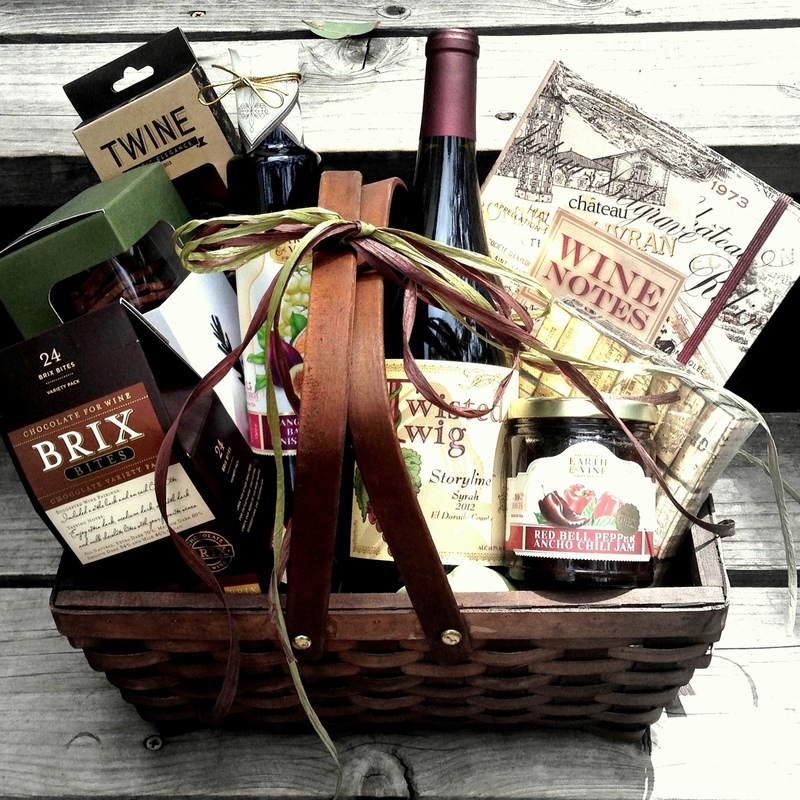 The rich chocolate colored basket houses the BRIX chocolates that are specifically choosen to pair with our Twisted Twig Wines. A Chocolate colored Wine Key, Wine Notes book, dark colored Rain Forest Crisps. Your pallete will rollover when you taste a jar of our locally made decadent Earth & Vine Red Ancho Chile Sauce and Basalmic Vinegar to be paried with soft or hard cheeses. 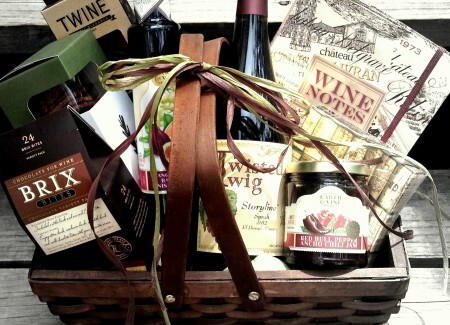 Choose your wine to go in the basket and the price varies based on the wine selected.